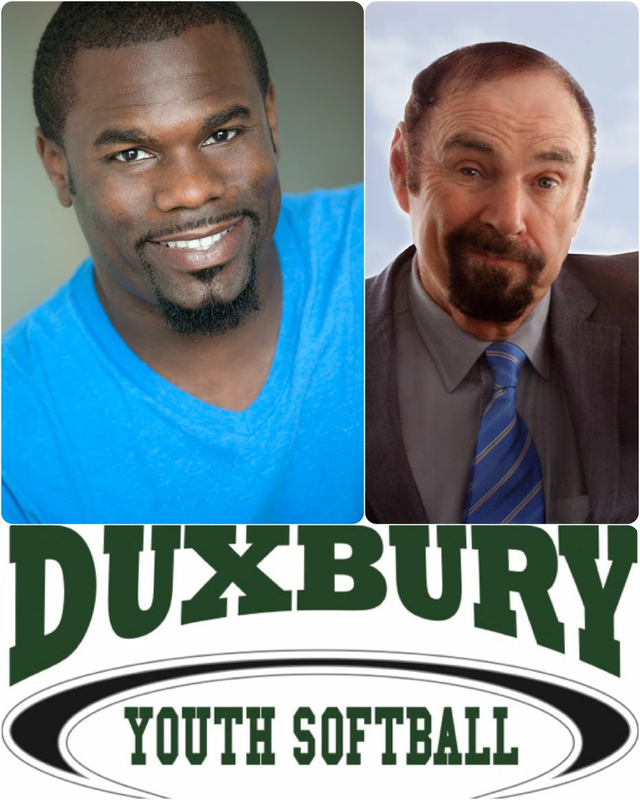 Join us for the 1st Annual Duxbury Youth Softball Stand Up Comedy Fundraiser featuring Steve Sweeney and Corey Rodrigues! General Admission Ticket: $30 in advance, $35 at the door. Cash Bar, Restaurant Menu available before, during and after the show. VIP Seating: Reserved Tables available on-line only. Make a night of it with dinner before the show! Limited space available for parties of 4 or 6 at the Mussels Grille for a pre-show dinner, and VIP show seating. Full menu available for dinner purchase, cash bar. Event is OPEN to the General Public! Duxbury Youth Softball Spring Registration (DYS) is now CLOSED for girls in Grades 3-8. Farm League: Grades K-2: Once game a week in Duxbury on Saturday mornings to be played on the fields in front of and behind the Duxbury Library on Alden Street. CLOSED: Minor League = Grades 3/4: MINOR League teams will play approximately 2 games per week and will be played on Sundays (3:00pm), Tuesdays (5:45pm) and/or Thursdays (5:45pm). CLOSED: Junior League = Grades 5/6: JUNIOR League teams will play approximately 2 games per week and will be played on Sundays (5:15pm), Mondays (5:45pm) and/or Wednesdays (5:45pm). CLOSED Senior League = Grades 7/8: SENIOR League teams will play two games per week, however nights may change each week due to the large # of teams (Sun-Thurs). Weekday games begin at 5:45pm, Sunday games begin at 5:15pm.